Manufacturer’s Description: The two rival spymasters know the secret identities of 25 agents. Their teammates know the agents only by their CODENAMES. 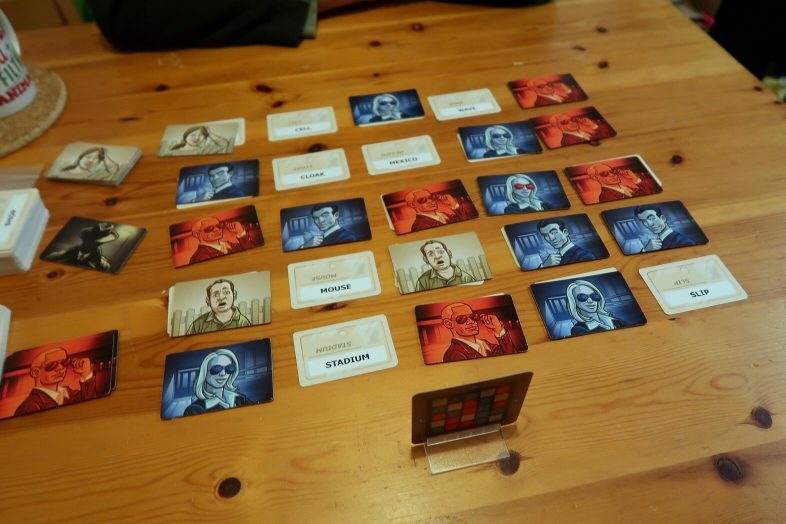 Review: Codenames was recommended to me by Laura from Tired Mummy of Two, who said that I would really enjoy it – and she was right! 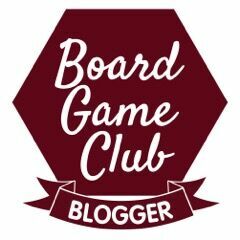 We were sent this game as members of the Blogger Board Game Club, to try it out & report back on what we thought. 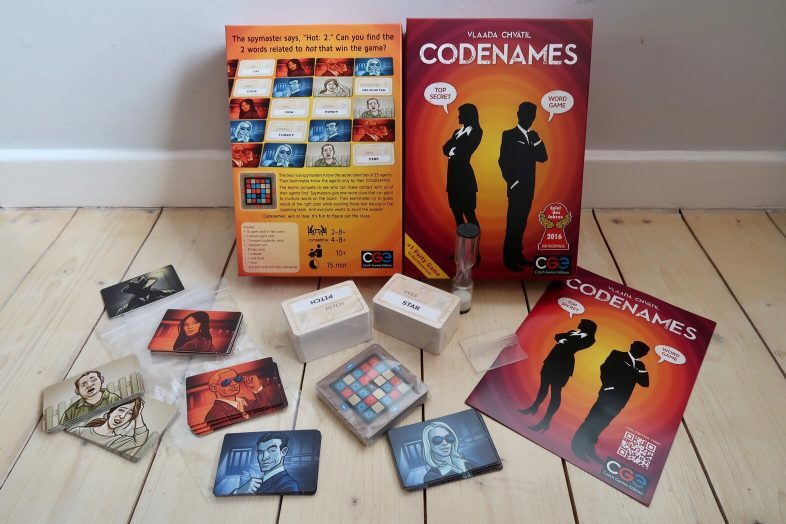 Suitable for ages 10+, Codenames is a team based game but can also be played as two player game. So far James and I have only played it two player but are looking forward to playing it with friends sometime soon. 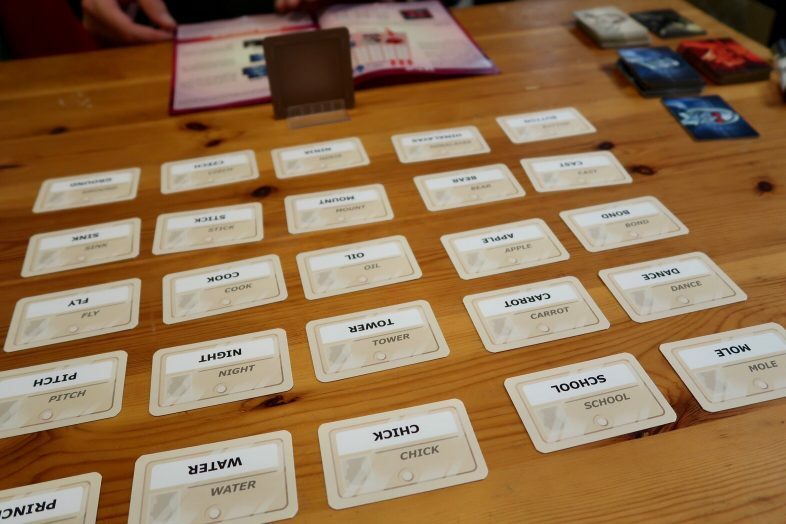 Codenames is a word based game with two teams of spies, each of which has a codename. The aim of the game is for your team to work out all of your spies identities before the other team uncovers all of theirs. The word tiles (the codenames) are laid out in a 5 x 5 grid, and each word corresponds to either a red team spy, a blue team spy, or an innocent bystander. Each team has one player be their “spymaster” who is in charge of making up one word clues grouping several code names together, then the other team members take turns trying to guess which codenames their spies are using. The spymasters sit together on one side of the table, with a small card depicting the grid of tiles, showing which codename belongs to which team. It’s quite challenging to be spymaster as you have to find groups of words that only include your spies – you don’t want your team uncovering the real identity of any of the opposite team’s agents (and preferably not a bystander, either). This is definitely a game that gives your brain a workout, and puts your poker face to the test too. I’m looking forward to trying this out with some friends in a group, and I have a feeling it might be headed into James’s work one of these days for one of their games nights. The first time we played it we were playing well over an hour, and it had us laughing together and enjoying a screen free evening. If you want to see the game in action, why not check out this episode of TableTop? 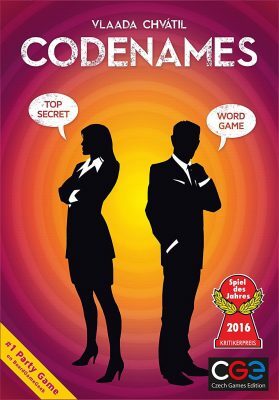 5 stars for Codenames from us!